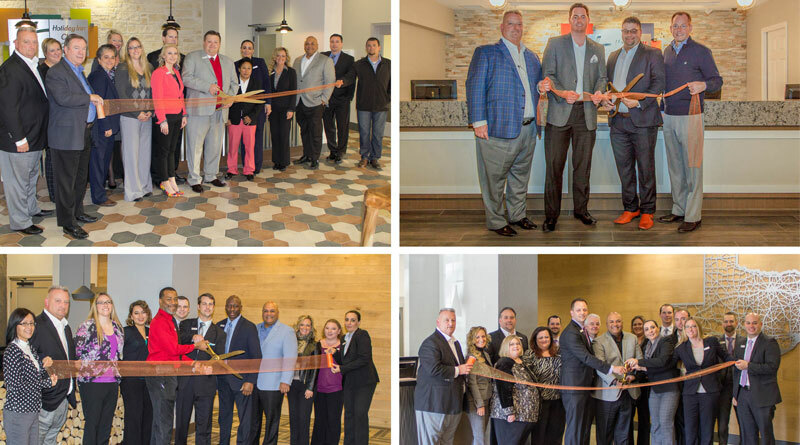 Orange Lake Resorts, home to the Holiday Inn Club Vacations® brand, recently unveiled newly renovated vacation ownership sales centers at four of its properties – Oak n’ Spruce Resort in South Lee, Massachusetts, Piney Shores Resort in Conroe, Texas, Villages Resort in Flint, Texas and Hill Country Resort in Canyon Lake, Texas. The sales centers promote the benefits of vacation ownership and provide customers the opportunity to become members of the points-based Holiday Inn Club® program. The popular product offers access to the growing Holiday Inn Club Vacations resort network and other family vacation experiences and services. Oak n’ Spruce Resort joined the Holiday Inn Club Vacations brand in 2015, while the three Texas resorts branded in 2016. Holiday Inn Club Vacations Oak n’ Spruce Resort and its 334 villas are located in the wooded hills of the Berkshire Mountains in western Massachusetts. Miles of beautiful forest paths run along the nearby Appalachian Trail and tranquil Tanglewood. The resort’s Activity Center features an arcade, sports equipment and more, plus its movie theater shows free family-friendly movies daily. Add in the indoor and outdoor pools, fitness center and 18-hole mini golf course and guests have everything they need for a memorable family getaway. Holiday Inn Club Vacations Piney Shores Resort has 266 villas on the shores of the beautiful 21,000-acre Lake Conroe. One of the great fishing lakes in the region, the property features a boat launch, private dock, covered boat slips and offers a wide variety of onsite family activities including mini golf, horseback riding, indoor and outdoor pools and movie theater. Guests also enjoy the many outdoor activities throughout the region, from watersports to hiking trails, golf and more. Holiday Inn Club Vacations Villages Resort is located in Flint, Texas along the shoreline of Lake Palestine, one of the largest watersports playgrounds in the southwest. The expansive resort features 410 one-, two- and three-bedroom villas overlooking the beautiful lake. It also offers a full-service marina, four outdoor pools, mini golf, arcade and an indoor waterpark. Everything from fishing to horseback riding and so much more make it a fantastic family vacation getaway. Holiday Inn Club Vacations Hill Country Resort is nestled in the foothills of Texas Hill Country overlooking scenic Canyon Lake. Guests can select from 421 one- and two-bedroom villas, five outdoor pools and one indoor pool. There are an abundance of fun activities available for guests whether on or off the resort. The property also features basketball and tennis courts, a movie theater, playgrounds and an arcade. Mini golf, tubing down beautiful rivers, plus watersports, fishing and boating along the lake—and more—fill the days with adventure.